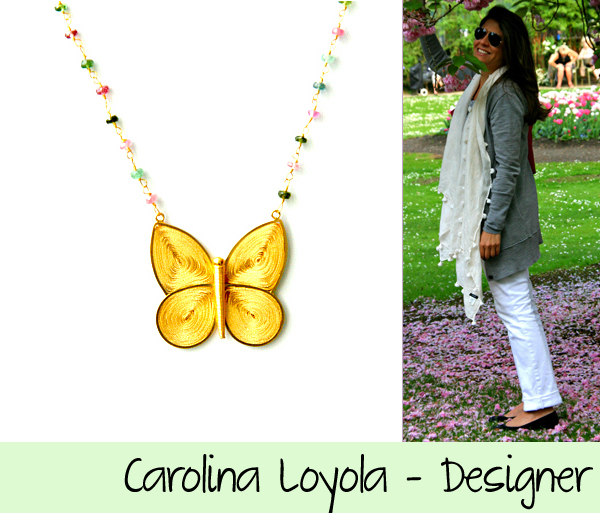 For our Fabulous Friends post we introduce you today Carolina Loyola, jewelery designer of a brand by the same name. 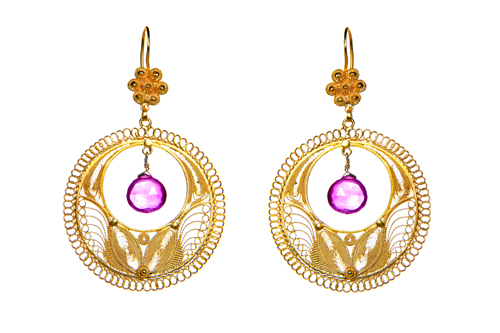 She designs some of the most beautiful and delicate pieces I have ever seen. She is very talented with an amazing eye for detail. Each piece is designed with the utmost care to the last detail. I own a couple of her pieces and love and adore them as they are so easy to wear and so chic at the same time. 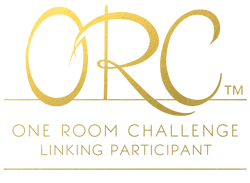 What encouraged you to start your own line? I had been designing as a hobby for a while. It was a trip I took to Guilin, China that inspired me to create my first collection. I was enamored by the beauty of nature. I came across many colorful butterflies. The Lucky Butterfly Necklace (above), later became my signature piece. I found many semi-precious and precious stones thru my travels in Hon Kong that I brought back to the States and began to work on the piece. I knew I wanted to create something different. A friend brought me back an exquisite detailed filigree piece done in Colombia. My first design was this handmade filigree butterfly done in close collaboration with Colombian artisans featuring multi-color tourmaline stones. My inspiration comes from my travels. I have an eye for nature and beauty. Color is always a part of my collections. What is the most inspiring destination in the world to you? I have many, however, I was seduced by Instanbul. I was very inspired from that trip to create many pieces for my collection. Another inspiration is South Africa. It was during a trip to Elephant Gorah Camp that the muse for my logo came to life (an elephant). And then there is Paris, how can you not find inspiration there. Classic yet bohemian chic. I love to accessorize. Carolina also designed these cute bracelets for the Child Brain Foundation to help me raise awareness around pediatric brain research. Our slogan is: "Have a heart and help us unlock the mysteries of the brain". Clever huh? If you want one of these you can get it here. (all profits will go toward research. they come packaged in a cute test tube). Which is piece is your favorite? Check them out here. OMG - I need, need, need one of those darling heart bracelets that raise awareness for pediatric brain research... Too cute and such a great cause.